The overwhelmingly common theme to the reports of Lord Hodge’s ruling yesterday was that he refused to give any directions: the BBC’s “'No ruling' on Rangers administrators' Ticketus challenge” seems pretty typical. Having read the judgment, we’re not so sure that that is a helpful summary of what is a very interesting opinion. The court seems to us to have provided a careful and useful analysis of the law and, for the administrators in the particular case, a pretty clear steer as to what they can do and guidance which they can follow (follow – no more puns, honestly). 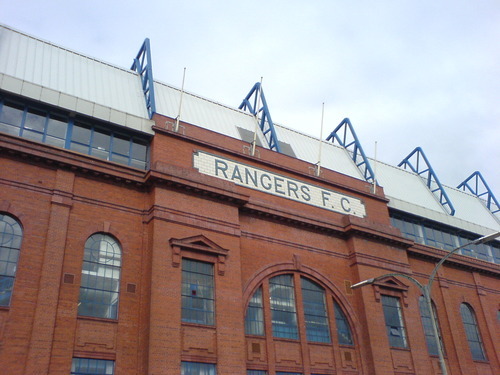 As anyone in Scotland who has seen a news report or read a newspaper in the last month will know, Rangers Football Club plc is in administration. It is due at least £9m to HMRC and figures of £50m and more are talked about as being due if the company loses an upcoming appeal. That’s a lot of debt. The Insolvency Act 1986, as amended by the Enterpise Act 2002, charges administrators with performing their functions so as to rescue the company as a going concern or, in short, achieve the best return for the creditors as a whole subject to any secured and preferential rights. That’s of course all pretty broad and, where the circumstances merit it, administrators can apply to the Court, under paragraph 63 of Schedule B1 to the Insolvency Act 1986, for directions as to how they should carry our their functions. On the way, consideration of this required analysis of a number of interesting and important questions and highlighted fundamental differences between Scottish and English insolvency law. As a preliminary, the agreement with Ticketus was subject to English law but Lord Hodge decided that, as a matter of private international law, it had to be Scots law (as the lex situs) that determined what proprietary rights, if any, were created in the seats or tickets and which governed recognition of the trust in the proceeds of the future sale of the tickets which the agreement tried to set up. This ended up being critical. Construed under English law, the agreement gave Ticketus a bundle of transferable and irrevocable licences to occupy a defined number of seats of different types at specified future matches. The licences “conferred an intermediate right which was not a property right in the conventional sense but was more than a mere personal right, and they could be enforced by the grant of equitable relief which could include an order for specific performance of the rights attaching to the tickets.” Again in terms of English law, the deal vested in Ticketus the “full beneficial title” to the proceeds of the future sales of the tickets and left Rangers with “a bare legal title”, protecting the proceeds against other creditors in the event of the company’s insolvency. So, no real right. What about some other kind of intermediate right, short of a real right but more than a simple personal right under a contract? So no intermediate right. What about some kind of beneficial interest? “[Counsel for Ticketus] did not assert that under Scots law Ticketus had an interest as a trust beneficiary in particular seats in the stadium and I consider he was right not to do so”. Ok. So no rights at all in the seats. What about rights to the proceeds of the future sale of the season tickets? After all, Rangers had undertaken to put those proceeds into a designated account for Ticketus. “[T]he difficulty which Ticketus faces in asserting a trust over the proceeds of sale of the STA tickets is that the proceeds do not yet exist. 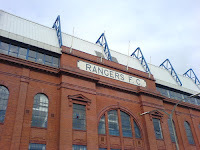 On the assumption that the Ticketus agreements are sufficient to amount to a declaration by Rangers of a trust over the STA tickets and the proceeds of their sale, the non-existence of both is fatal to the creation of a trust. Where the truster and trustee are the same person it is our law that there must be constructive delivery of the trust subjects to himself as trustee of an irrevocable trust…. I conclude that Ticketus has merely a contractual right … for the expected income when it is received by Rangers to be held in trust. That is not a trust right”. Ticketus have, then, no real or intermediate or trust rights to the seats or the sale proceeds. They are simply ordinary creditors who have a contract with Rangers obliging Rangers to hand over the proceeds whenever the tickets are sold. So, the administrators asked, could they break that contract and keep the money for the general body of creditors? Against that background, the matters arising for consideration here were “the circumstances in which an administrator would choose to cause the company in administration to withhold further performance of a contract and… the circumstances in which the courts might enforce the contract by recalling the moratorium and granting a remedy to compel performance.” Interestingly, the court could find no direct Scots authority. Lord Hodge therefore looked firstly to the position in the analogous circumstances of liquidation and receivership. “[A] liquidator had no statutory power to terminate the contracts of a company in liquidation. There is no provision equivalent to section 178 of the 1986 Act which allows the liquidator of an English company to disclaim onerous property. But that does not mean that a liquidator of a Scottish company cannot decline to perform a contract. Such a liquidator is a manager of the company's affairs and acts on its behalf…[and] can choose to make the company in liquidation disaffirm a pre-existing contract by declining to perform it and thereby placing the company in breach of contract." “In my view, at least as a general rule, if a court were asked to order a company in an insolvent winding up to implement a contract it should refuse to do so because the company could not perform or because such an order would conflict with the statutory duties of the liquidator [to treat unsecured creditors equally]”. “It is against this background of statutory provision and practice that the administrator has to decide whether to repudiate a contract. Administration is, as I have said, a flexible process. It can accommodate a circumstance in which a company, which was thought to be or likely to be insolvent, turns out not to be so and can emerge from the administration without having reached a compromise with its creditors. In such a circumstance it is hard to envisage how an administrator could properly repudiate a contract in exercise of his function of attempting to achieve the objective of rescuing the company as a going concern. But where, as in the normal run of administrations, the company is insolvent and will not emerge from administration without a CVA or a scheme of arrangement with its creditors, the administrator has to consider whether he should decline further performance of a contract which would prejudice the achievement of an otherwise achievable statutory objective. In reaching a view on that matter he is under a statutory duty to act in the interests of the company's creditors as a whole: para 3(2) of Schedule B1. Thus he must consider the extent and effect on the company's other creditors of the claim in damages which would arise if a party contracting with the company accepted his repudiation. He must also consider, when addressing the interests of the creditors as a whole, the interests of the contracting party who, if the contract is repudiated, may be a creditor in a claim for damages. …An administrator would not be acting in breach of his duty to the company if he refused to perform a contract having acted reasonably to satisfy himself that the continued performance of the contract (i) would impede his achievement of the objectives of the administration and (ii) was not in the interests of the company's creditors as a body. If he could establish reasonable grounds for being so satisfied, I consider also that he would be likely to have the legal justification which would exclude a personal liability to the counterparty of a company's contract for inducing the company to break that contract. …I do not see how an administrator could perform his statutory duties in many insolvencies if he were not able to plead justification. As the delict is an accessory liability it appears to me that a third party who contracts with the company in administration, for example in acquiring the company's assets after the administrator's repudiation of a contract, will not incur liability for inducing breach of contract if he merely responds to an invitation to treat from the administrator who is properly exercising his statutory duties. …I consider that where the company in administration is clearly insolvent there are close parallels with insolvency in the context of a receivership or a winding up. …I consider that the analogy of a receivership or a winding up is close and the court, if asked to enforce the contract against the company in administration ought to have regard to the considerations which I discussed … and would order performance only in exceptional circumstances. treating unsecured creditors in accordance with their legal rights in an insolvency would not of itself involve such unfairness. In this particular case, he specifically concluded that "the legal nature of the rights which Ticketus has in the Ibrox stadium, the season tickets for that stadium and the proceeds of future sales of the season tickets are purely personal contractual rights.” Over to the administrators now, but we’d bet that they’re happier than Ticketus with all of this and really are not sure how much clearer the judge could have been. So what, in your view, should the Administrators do? What do you think they will do? "An administrator would not be acting in breach of his duty to the company if he refused to perform a contract having acted reasonably to satisfy himself that the continued performance of the contract (i) would impede his achievement of the objectives of the administration and (ii) was not in the interests of the company's creditors as a body." I don't suppose that anyone was ever arguing that the administrators were considering repudiating a contract which they thought actually was beneficial to the general body of creditors so that guidance must have been of reassurance to them, insofar as it went. Now, Ticketus responded by saying that the administrators would find it difficult to be reasonably satisfied of these things here because (if I understood them right) the continuation of the agreement with Ticketus was part of the Blue Kights bid which was, in turn, the best prospect of saving the club as a going concern (see the link to Ticketus that I posted in the main article). I see that the BBC is tonight reporting (http://www.bbc.co.uk/sport/0/football/17516796) that the Blue Knights are prepared to consider proceeding without the Ticketus contract. As I say, though, none of us can know how things will pan out or presume to advise without the full facts. As an insolvency professional (not in the legal profession) I find this fascinating and your analysis excellent. compelling reading and very relevant. Thanks for that. If you're in the insolvency profession I'd be interested if you have any views on our posts about validation orders under s127 of the 1986 Act. We've also recently been asked for a view about the actions of a bank against the background of a winding up application, a CVA, a validation order and a subsequent arrestment on the dependence. If I can get my head round all of that, there may be a post in it.